Developed by K2 Network, War Rock is a free to play military tactical first person shooter (FPS), which features team or solo based play and unbelievable missions and maps. Equip yourself from a wide array of weapons and field gear, and fight on foot or take the battle to the enemy in armored vehicles ranging from Blackhawk choppers and K1 tanks to F-15 Eagles. War Rock is free to play. 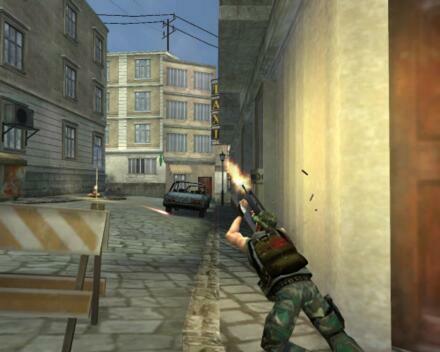 All players have access to the basic features of the game, including frequent content patches and the ability to rank up and unlock new weapons. However, players have the option to access Premium features including extra Dinar, bonus XP gain, extra weapon slots, and more. It features frequent update patches, which include new gear, vehicles, and even gameplay modes, driven by player request. Each Episode begins a new chapter of War Rock, expanding the stage with intrigue and treachery as the Derbaran civil war unfolds. Also, sponsored events and an integrated Clan System drive a fiercely competitive community. There are five classes to choose from: Engineer (Always a must have when using armored vehicles. Primary function is to repair and maintain vehicles), Medic (Through healing wounded team members, this unit can make or break success of each mission. Primary function is to provide medical aid as needed), Sniper (Infiltrate enemy lines and secure rooftop positions for prime Sniper kills. Primary function is to provide information on enemy units and long distance cover fire), Assault (The front line of any squad. Primary function is to provide close range combat and support for other branches) and Heavy Trooper (Usually called in to take out the big guns. This unit is essential to effectively neutralize the heavy artillery of the enemy side). * Very low entry threshold, immediate access to action-packed frag-fests, even for casual players. * Unique Free2PlayTM access and player options to purchase gameplay enhancing items, services, and products. * Frequent add-ons and updates that include maps, weapons, vehicles, and game-play modes&#65533;driven by Player Request. * An extremely efficient game engine that allows the incredible graphics and high framerates even on lower-end systems. * Close Quarters Battles between SpecOps teams, Platoon-level firefights in urban areas, or even Combined Arms engagements with Fast Attack Boats, Main Battle Tanks, and Helicopter Gunships, War Rock has everything any FPS-gamer will ever need.